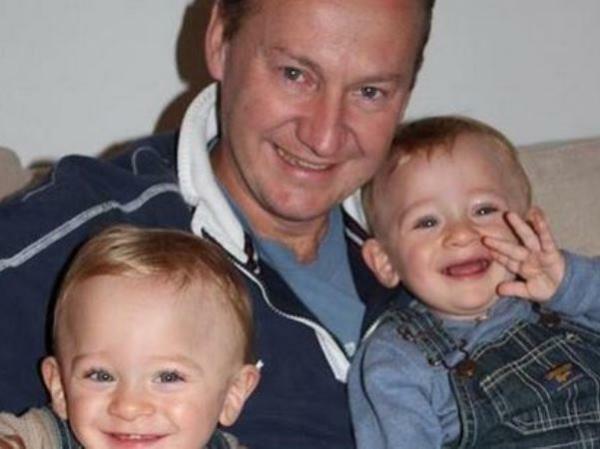 The husband of Tania Clarence, a South African woman who killed her three disabled children in London, supported her throughout the trial in the United Kingdom, the British Press Association reported on Tuesday. Clarence's investment banker husband Gary supported his wife throughout what his lawyer described as "one of the saddest" cases to come before the criminal courts. In a statement on behalf of the family, solicitor Richard Egan said: "The Clarence family, and in particular Tania Clarence, dedicated their lives to the care and welfare of their three severely disabled children. "Her love, commitment and tenacity in the face of the overwhelming responsibilities such care entailed was extraordinary. "Ultimately, her story of dedication and love became a story of despair and utter hopelessness." He said "lessons need to be learned" from the tragedy. "Tania's depression was certainly not assisted by the constant pressure placed on the family by some individuals within the medical profession and social services who could not agree with Tania and Gary Clarence's stance of prioritising quality of life for their children and who were not readily willing to submit the children to operations and other interventions that they felt were not appropriate in the circumstance." He said Mr Clarence was assisting Kingston Borough Council in their review of the circumstance of the case but wanted to make clear that allegations of neglect had been "wholly unfounded". All three of the children suffered from the muscle-weakening condition SMA type 2, and had the Clarences known before the twins were born, they would have agreed to abort the pregnancy. The court was told Clarence repeatedly clashed with doctors during a long history of the children's medical treatment in and out of hospital. Clarence's attitude was that their quality of life was more important than its length and she preferred to opt for palliative care over more invasive treatment. On one occasion, she said: "Gary and I do love our children just not in the way you want us to." In May 2011 a doctor noted that Clarence was "seriously over-stretched/under intolerable strain" from all the medical appointments. At the end of 2012, she told medics that she did not want to see her children's suffering prolonged and "if they were in South Africa they would go to the top of a mountain and die". She also admitted to medical staff that she was suffering from depression on more than one occasion, yet did not follow through with therapy. Just before the killings, Clarence had been resisting agreeing to a gastrostomy for Olivia that doctors had urged because of fears that she was underweight. The dispute also coincided with the appointment of an inexperienced social worker from Kingston Borough Council who replaced a woman who had resigned in disgust after being moved off the case because she had got too close to the family, the court heard. At a meeting on March 24, the new social worker presented Clarence with a list of subjects for discussion including gastrostomy, physiotherapy routines, spinal surgery, her mental health -- all of which she found "overwhelming". In April, Mr Clarence urged "tact" as he finally agreed to a gastric button for Olivia, but at the same time, Kingston social services called a meeting to discuss the possibility of instituting child protection measures. The social worker ignored his plea and during a visit on April 16 suggested to Clarence a gastric button for the twins next. Days later, all three children were dead. A Kingston Council spokesman said: "Throughout the lives of the children, we sought to work with partner agencies to ensure that the Clarence family were fully supported. This was provided through a range of services including therapies, care support into the home and direct payments to the family to assist with the costs of their nanny. "The Local Safeguarding Children Board is currently undertaking a Serious Case Review. The partnership will ensure that any learning from this review is incorporated into the work with children with disabilities and their families." Clarence (43) pleaded guilty to manslaughter by diminished responsibility of Olivia, four, and three-year-old twins Ben and Max at the family home in New Malden, south-west London, over the Easter holidays. Sentencing her to a hospital order on Tuesday, Justice Sweeney said there was "clear and convincing" evidence that she was suffering a "major depressive episode", the AP reported. Sweeney told Clarence she would not be released until she had recuperated from her illness.